The Z-Engine’s basics have been learned. In short, we can make boxes hit each other. In slightly less short, we can make boxes hit each other, and put sprites to those boxes so that the result is an animated character; we can also make those characters interact with each other (i.e. beat the proverbial candy out of their opponent) and we’ve looked at the underlying foundations of the Z-engine, learning what bits of code do certain stuff, how they do it, and how can we make them do that stuff in the order and manner in which we want them to do it. It’s less building-with-legos and more actually having some proper tools than what FM2K has, and even though our DevTeam caught on the idea fast, practice and experimentation on just how much pushing can be done (a lot) in comparison with our old engine took us time. Learning that the FM2K imposed barriers of technical development (things like more than 1-bit transparency and the like) were no longer there and we could do way more with it took us a bit more to wrap our minds around of; once we did, what followed was a short, but intensive period of squeeing, imaginating the endless possibilities, and generally thinking way, way, waaaaaaaaaaaaay too far out of the box, before realizing we were falling into the dreaded feature-creep loop, pulling ourselves closer to the aforementioned squareish-shaped container, and continuing with more sensible goals in mind. 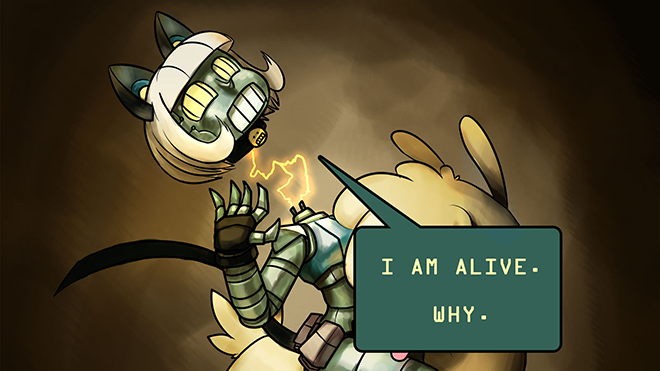 The Z-Engine is more powerful, more capable, and more “awesomer” than FM2K was, by far, but it was made by Mike Z with his and his team’s needs, tastes, and workflow mechanics in mind, not to mention with the intention of making Skullgirls, a fighting game that, while pretty darn tootin’ awesome, has different mechanics than our project does. Our workflow and art pipeline are also somewhat different, so some adaptation was required. To accomplish that, we (read: Our programmers), built a couple of custom-made tools to hammer at the engine with: Hotbox and Saddle. We rock at naming new stuff. Hotbox is a proprietary hitbox editor: You put images in one side, drag boxes over those images, and hitbox’d engine-ready files come out of the other side. 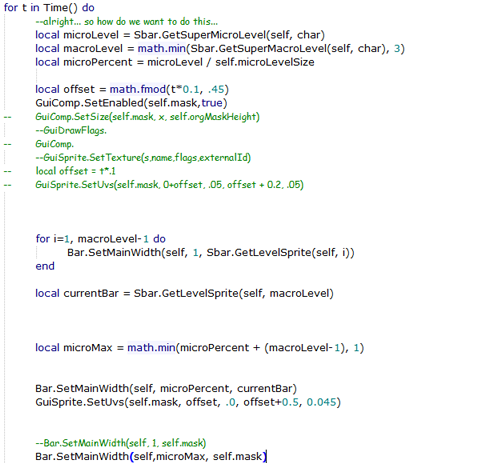 Eventually, it’ll do a few more things, and look prettier, but for now, it does its job and saves development time. Saddle is designed to make scripting and editing the game “on the fly” (that is, without having to re-export a hundred files for every minute pixel fix or mechanic value change) easier for CoreDev. Saddle’s test flight has been handling the code-side of the UI (particularly the HUD) for the game, but as development progresses, it will also handle other areas of character creation and mechanics management. This is what a Health bar’s insides look like. Pretty, huh? While our programmers refined the aforementioned tools, CoreDev worked on the character design, as well as brainstorming on the universe these characters inhabit. Initial concepts were discussed, refined, discussed again and finally agreed on, and once we were satisfied with the result, focus on each individual character commenced. Silhouettes, expressions, technical details, turnarounds, personalities… The kind of things involved with making new characters from scratch. You have seen a few bits and teasers in the previous updates, both here in the site and in our twitter. You’ve also seen a couple of ingame placeholders, which at this point we’re required by Omari to remind you, are not indicative of any final design, art style, personality, character species, colour, smell or flavour. You’ll be seeing more in a future. Currently, we’re in the process of creating models, which are libraries of body parts in different poses, in order to get a starting point from which to begin animating our new characters. Unlike the previous project, in which (thanks to the people who worked on the source material) we had a pre-built library of poses and movements to draw initial concepts from, this time we are required to do them from scratch. Also unlike our previous project, the bulk of these model libraries can not be shared between characters, due to their different body builds and animation requirements, which represents more work to get through. Mostly. After lawyering in our general direction, back-and-forth consulting and making double sure no toes are being stepped on and that things can proceed without an unwelcome legal surprise crashing through our window -again-, we are assured we’re ready to continue working. There’s still a couple details to work through, which is why we can’t go into specifics on most stuff at the moment, but they’re soon to be sorted. In January, this website will be moving from being hosted by a free blogger service (and all its kinks and little annoyances) to a self-hosted, WordPress based website we can modify and customize to our heart’s content without having to depend on delayed and almost nonexistent tech support. If something breaks, we’ll be able to fix it or trash it without having to wait for third parties to get back to our queries. This transition will involve a couple days (or so) time, as we move from one place, and into the other, and should be mostly harmless, (or so we expect). We’ll give you guys a warning when we’re ready to pull the switch, so you aren’t alarmed if the site is inaccessible for a bit. And here’s the important bit. Somewhere, in the first quarter of 2014, Mane 6 will be starting a Kickstarter or Indiegogo campaign, with the objective of funding development for this project. We can’t give you a number on how much that crowdfund will aim for just yet, but we can confirm it will happen. As you guys know, our team for the past project, and so far for this one, has consisted of volunteers donating their time to the project for no economical compensation whatsoever, fueled only by passion and hype. While this last part is still true, we’ve hit (a couple months back, actually), a point where we can not continue dedicating the full extent of our free time to development, due to other pressing obligations, namely the developers main payjobs and school. All the required work, time, and expenses (such as site maintenance, software licensing and lawyer fees) so far have come out of our devteam’s pockets: If the crowdfund is successful, it will allow CoreDev to work FULL TIME on the project. That means things will get done better and faster, as we won’t have to worry about paying the bills; It’ll also allow the team to pay for some required upgrades, to license software libraries to improve the game, like GGPO, which would allow for a better online-multiplayer experience, and to compensate the people associated with the project outside of Mane 6 for their time and work. Game development will explode, basically! 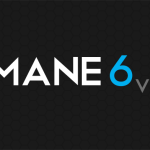 Mane 6 will be moving fully into the game’s production stage. 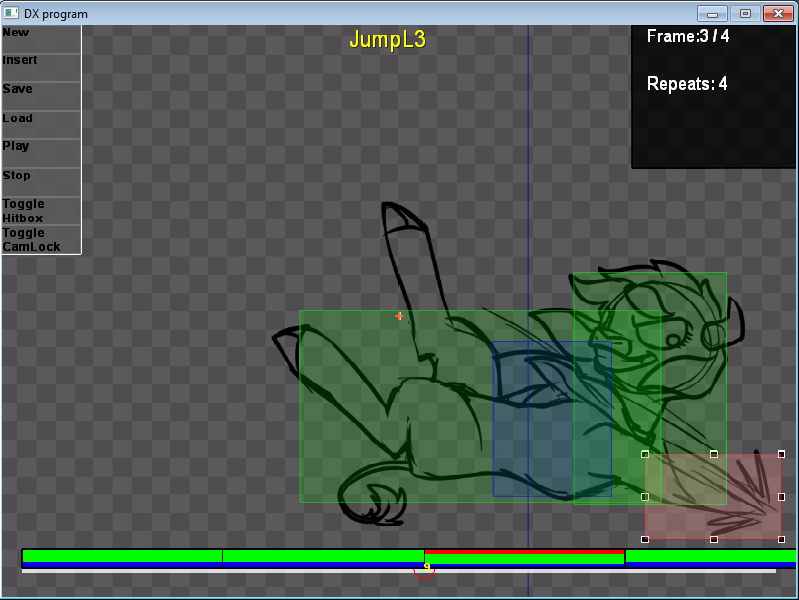 Models will be finalized, the main animation work will commence, characters will start taking shape in the engine. We’ll be holding live streams of our work processes at this point (we can’t tell you when and how much, but we’ll try to get stuff going regularly), so you can follow on the development with us. Due to the different nature of the project’s basis (that is, now we own the IP), we won’t be as tight-lipped as we were during the development of Fighting is Magic. It’s at this point we’ll also be introducing you guys properly to the characters and their universe. We’ll have some side-stuff that’ll help us that way. We have some ideas on how to go about this already, and we hope you guys enjoy this part of the process as much as we look forward to getting there! It’s also on this point that we -might- be having a couple openings in the art area, particularly in background art & background character design, although animation might also see a job opportunity opening at some point in development; We do not yet know for certain what the situation will be regarding voice acting, but if open castings happen, it’s likely that the requirements will be stricter, and/or that we’ll require applicants to be physically located, or able to get transport for themselves to the area we’ll be recording on (most likely to be the Los Angeles area). Still, nothing set in stone there, and we’ll see how things develop. We do not foresee a job opportunity opening in the areas of SFX & Music or Programming opening at that point (and, most likely, not anywhere after that during main game development). 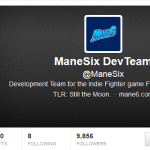 So if you are interested on becoming part of the Mane6 devteam, please keep an eye out for this. Regardless, we look forward to see what the future brings as the project moves into main development, and we’ll be happy if you guys continue following the game’s development! So there you have it! ; That is what’s happened so far, and what is to happen on 2014. Last, but not least, everyone in the Mane6 devteam would like to thank you guys for sticking along with us on this one wild ride, for the support and the continued interest in our project, and for being generally awesome. We’d also like to wish you all a happy new year, and here’s also lots of wishing that The Steam Holiday Sale didn’t take too much of a hold on your wallets! – After all, our crowdfunding campaign is coming!